Pasto is a thickening gel that increases the body of the paint, giving pleasing textural lines and adding extra gloss. 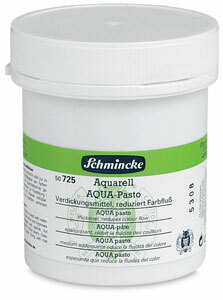 It is best suited for use with tube watercolor. Mix it with the paint or use it pure by applying it in several layers with a spatula on the surface of the paper prior to painting. 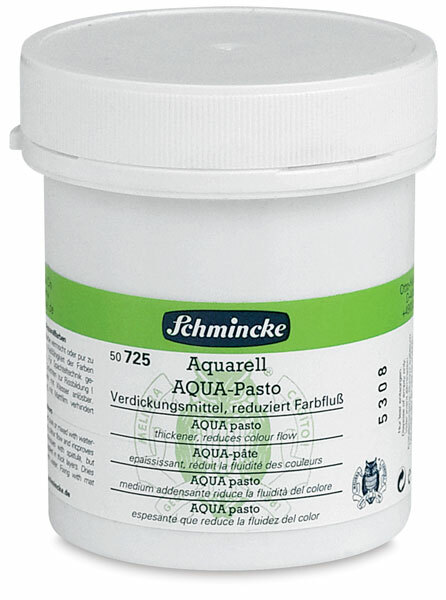 Pasto dries slowly, reduces the flow of color, and remains water soluble.